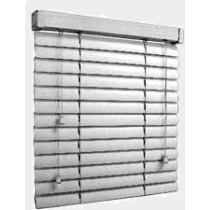 Aluminum Blinds offer a heavy duty durable solution to your blind needs. 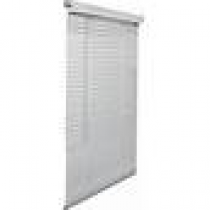 Lightweight and slim aluminum blinds are very simple to install and can be operated with ease. Aluminum blinds offer a cost effective solution without sacrificing quality. 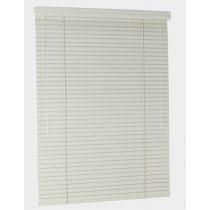 Sturdy Aluminum blinds are offered with a variety of baked-on enamel finishes to ensure they maintain their attractive look through the heat and damage from the sun. Aluminum blinds are offered in a wide variety of colors, and sizes, making it easy to locate the perfect fit for your window or door. 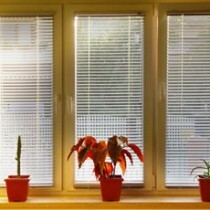 Aluminum blinds make for a very cost effective solution when remodeling your home’s look. 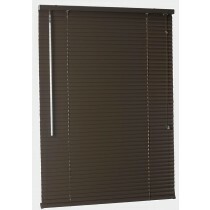 However they do lack the timeless elegance of real wood blinds, and the energy saving benefits of honeycomb blinds. While they do lack the benefits of other blind options, they remain one of the most cost effective solutions for controlling the amount of light flowing into your home.